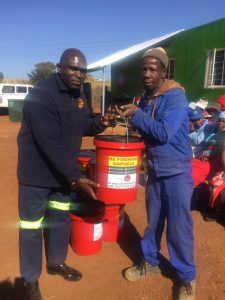 We are very grateful to the Emergency Management Services for providing fire safety training to the families in Meriting Village. To help prevent the number of shack fires that happen at this time of year. 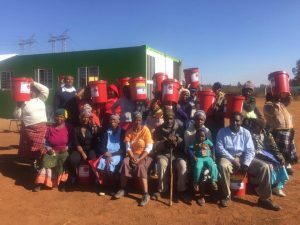 Everyone who attended was given a bucket that contained bandaids, ointment, a fire blanket and lots of other essential items.